Lawyers are generally required to be admitted to the bar association of a given jurisdiction (and to pay bar dues) before being allowed to practice in that locale. The overarching purpose of bar associations is to maintain the integrity, trust, and quality of the legal profession, and more broadly, to promote justice and the rule of law. Bar associations pursue these goals by, for example, establishing minimum standards of knowledge or competence for entering the profession, rules of professional ethics and conduct, continuing education requirements and opportunities, and free or affordable legal aid programs. Experienced, knowledgeable attorneys are rarely in complete agreement about the meaning or application of the law itself, much less politics or social policy, so when a bar deviates from its inward focus on the legal profession to an outward focus on social engineering, controversy is certain to result. The reputation of the legal profession itself is also bound to suffer. Such was the case when the Connecticut Bar Association (CBA) entered the fray over gun control. The Hartford Courant reports that following the horrific murders at Sandy Hook in December 2012, the CBA’s elected House of Delegates voted to write a letter to state officials advocating for legal restrictions on so-called “assault weapons” and “high-capacity” magazines. Some members of the association (membership in which is not mandatory to practice law in Connecticut) were understandably upset that an organization that is supposed to stand for the rule of law was actively campaigning against the fundamental civil right of keeping and bearing arms. Even some who agreed with the underlying policy goals of the legislation nevertheless felt it was inappropriate for the bar to be inserting itself into a debate that did not concern the standards of the legal profession itself. Still others opined that the effort did not reflect the view of the CBA as a whole but was primarily motivated by certain well-placed individuals within the CBA who had a strong personal connection to the events of Sandy Hook and were pursuing what was essentially a personal agenda. 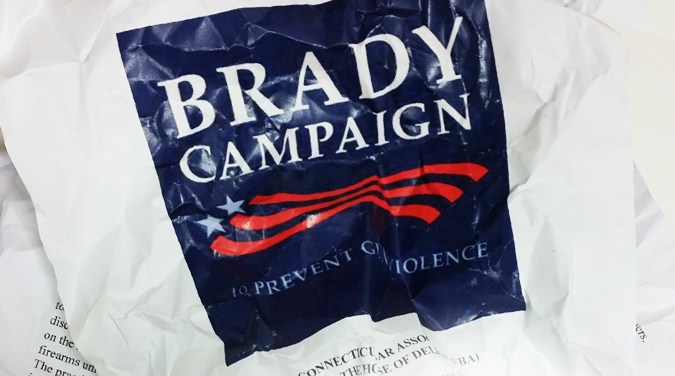 Concern increased when the CBA’s House of Delegates upped the anti-gun ante by voting in July to join with the Brady Center to Prevent Gun Violence in filing a friend of the court brief in support of Connecticut’s expansive 2013 gun control law. As reported elsewhere in this alert, the law had been challenged in court and upheld by the U.S. District Court for the District of Connecticut, a decision that was then appealed to the U.S. Court of Appeals for the Second Circuit. After the delegate vote, according to the Hartford Courant, “A debate that simmered … became a revolt …. On Aug. 5, lawyers opposed to joining the Brady defense had collected sufficient petition signatures to force a referendum.” CBA President Mark Dubois admitted that he could not recall that happening at any other time during his 40 years as a member of the bar. The issue here isn't pro-gun or anti-gun -- it's when an association should get involved in matters that go beyond the practice of law. Bar associations should strive to represent the interests of all of their members, or at least the vast majority of them, and here, there clearly wasn't widespread support for contributing to the defense of the law. We made a similar point a couple of years ago when the American Bar Association came out in favor of "reasonable" restrictions on guns, including an assault weapons ban. There was an immediate backlash on the ABA Journal's website, but interestingly enough, the support for gun control wasn't new -- the ABA has taken that stance for decades. The point of these bar associations is to promote the advancement and ethics of the legal profession, not to take stances on divisive issues. As we have often observed, support for Second Amendment rights is an authentic grassroots phenomenon, while support for gun control disproportionately resides within the elite (most of whom have no problem paying for body guards or security to assume physical risks on their behalf). The CBA’s misadventure is just another recent example of an influential minority’s attempt to hijack a prominent platform to portray as “resolved” a gun control orthodoxy that most still recognize as fiercely contested. To the credit of the CBA’s membership at large, that attempt was unsuccessful.